If you haven’t noticed by now, the Blackboard Learning Management System recently received several product enhancements with the release of a new version of Blackboard Mobile Learn and a system upgrade to version 9.1 SP7. Blackboard Mobile Learn gives students and instructors access to their course content on a variety of mobile devices, including the iPhone, iPad, Android and Blackberry. Students can use the Bb Mobile Learn App to access course documents, read announcements, respond to discussion board posts, upload photos or video attachments to discussion boards or blogs, and check their Blackboard grades. Instructors can use the mobile app to post announcements, read and respond to discussion board posts, and upload photos or videos. Version 3.0 of the Bb Mobile Learn App, released on May 16, 2012, introduced Mobile Friendly Tests and high resolution graphics for retina displays. Instructors now have a streamlined interface to create mobile-compatible tests from within Blackboard (see Instructions for Creating Mobile Tests), and students can take mobile compatible tests directly from their mobile device. In fact, any Blackboard test that includes compatible question types (Multiple Choice, Hot Spot, Fill in the Blank, etc) can be taken from within the Blackboard Mobile Learn App. 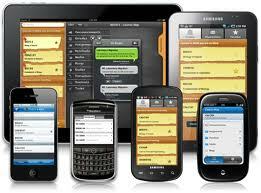 The interface itself makes use of several unique features of mobile devices. For example, students can flag a question to come back to later by tapping the corner of the page to create a dog-ear. They can also eliminate options on multiple-choice questions by swiping across them to gray them out. Instructors can even ask students to submit pictures from their mobile device as part of a mobile quiz answer. Grades on mobile quizzes are automatically added into the Blackboard Grade Center. To download the Blackboard Mobile Learn App, visit your device’s App Store today, or view the Blackboard Mobile Learn Tutorial for more information. Blackboard System Upgrade – On May 28, 2012, the Blackboard application servers were upgraded to version 9.1 SP7. This update was necessary to provide compatibility with a wider range of Web browsers, including Internet Explorer 8 and 9, Firefox 12, Chrome and Safari 5. Timed Assessments – Attempt information for timed assessments includes details on how much time the student spent on the attempt versus how much time was allotted. Instructors can choose to make the make the timed assessment save and submit automatically when the timer expires, or to allow the assessment to continue beyond the allotted time. Tests will also now auto-save every minute during the student attempt. Interactive Rubrics – When creating a rubric, instructors can assign weights to categories, allowing the same rubric to be used across multiple items with different possible points. Rubrics can be imported and exported for use across courses. Instructors can associate rubrics when creating gradable content items. The rubrics can be visible to students at any time, or only after grading has been completed. Instructors can interact with any associated rubric for grading in a grid or list view, and feedback can be entered for each criteria as well as the entire assessment. When a rubric has been used for grading, a report is available to view the results of all content graded with that rubric. Needs Grading – Gradable Blogs, Journals, Wikis, and Discussion Board activity can appear in Needs Grading status in the Grade Center and on the Needs Grading page. When an instructor chooses to make an interactive tool gradable, they will also have the option to choose how many interactions will place the item in needs grading status. A Discussion Board forum, for instance, might be set to only appear in Needs Grading status after a student has made three posts, rather than with each individual post. For more information about Blackboard or any of its features, contact the Faculty Technology Development Center at (662) 915-7918 or blackboard@olemiss.edu.